A scientist has issued a chilling warning that aliens are already here on Earth and are biding their time before unleashing a full reveal. 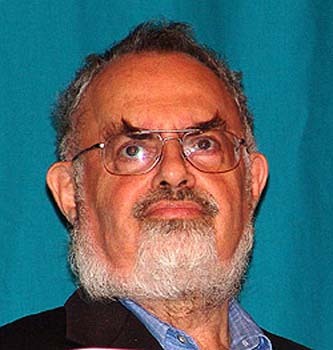 Stanton Friedman,a nuclear physicist, is convinced there have been multiple visitations of Earth by aliens, who will ultimately quarantine us here on Earth. The Canadian claimed there “was not a shadow of a doubt” the existence of intelligent aliens was being covered up by global governments as part of a so-called truth embargo. Mr. Friedman, 82, is a top Ufologist, who has been at the heart of investigations into the mysterious Roswell alleged UFO crash of 1947, after previously working on classified projects for American aerospace corporation McDonnell Douglas. Speaking to DAILY STAR, he said: “We have enough to prove without a shadow of a doubt that planet Earth is being visited [by aliens]. “This is kept from people because who would want the world in upheaval? There would be mass panic and distress. He said recently declassified CIA files on UFO sightings were all part of the proof. Mr. Friedman says aliens actually want to prevent humans colonising space and will ultimately quarantine us here for the greater good to prevent mankind travelling. He said: “I think they are here. I think they are here to quarantine us, keep us from going out there. But Mr. Friedman claims our governments are trying to take advanatage of aliens being here by obtaining their technology to achieve world supremacy. He said: “The first country to replicate [alien] technology will rule the roost if they can build it. Mr. Friedman, who has written extensively on Aliens and UFOs, has described this culture of secrecy as the world’s “Cosmic Watergate” – a reference to the President Nixon cover-up scandal in the 1970s. He now tours the globe giving talks on his beliefs at universities and conferences. Some skeptics are not convinced by his arguments, however. 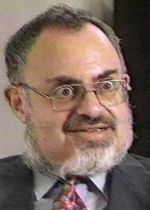 One poster on the forum skepticforum.com wrote: “Recently I was looking at some of Friedman’s arguments for UFO’s and against skeptics. “When he says he debunks the debunkers he makes sweeping generalisations and says skeptics ignore some ‘big’ cases even though many of them were looked at by skeptics. “So my question is what’s his point. 39,000 Americans Live in Ecuador. Ecuador continuously battles nearby Panama for top billing as the world’s best place to retire. In 2014 it lost by only .1 of a point, according to International Living’s annual survey. Among the reasons for its consistently high scores are its unrivaled scenery and its extremely affordable cost of living. A couple can live quite comfortably in most Ecuadorian cities on $1500 to $1800 per month, which includes housing and even luxuries like a part-time maid. That same feat can be achieved elsewhere in Latin America, but it won’t come with the same quality of life. 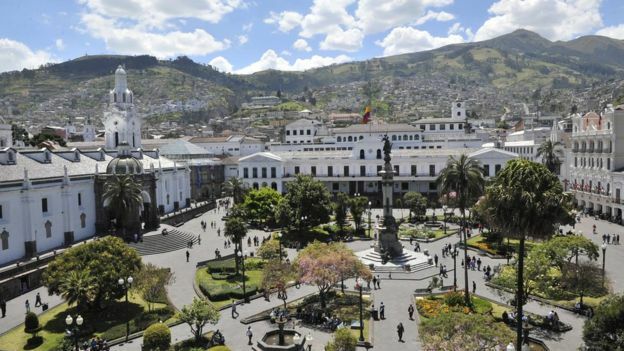 Ecuador has historic colonial cities like Quito and Cuenca with their cathedrals and Spanish colonial architecture. The weather in the mountains is pleasantly mild, and even on the coast the temperature rarely reaches 90 degrees. August is the hottest month in Quito with an average temperature of 14°C (56°F) and the coldest is February at 13°C (55°F) – – not much difference throughout the year! There are only really two obvious seasons in the city: dry and wet – – the dry season, summer, runs from June to September and the wet season, winter, is from October to May. There’s good private health care, particularly in the large cities. Infrastructure is also improving, with enhancements like a new airport just outside Quito and the widening of the Pan-American Highway. The country’s economy is stable and growing. The friendly and welcoming Ecuadorians are thriving, enjoying better lifestyles than previous generations. (But, best of all is the fact that Ecuador’s national currency is the US dollar). – – from VIVATROPICAL, 7 of the top places U.S. Expats are living in. (Click to enlarge above – – popular US dollar coin widely used in Ecuador. 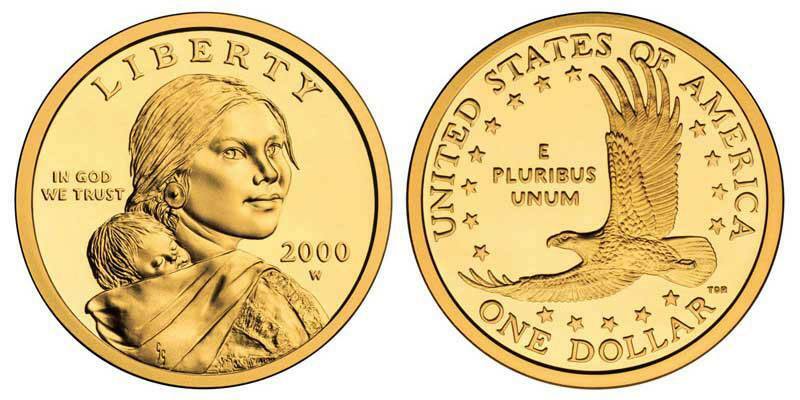 This dollar coin honors Sacagawea, Native American Shoshone guide of the Lewis and Clark expedition. QUITO, Ecuador — Busy selling fruits and vegetables on a recent weekday, Luzmila Mita dug into her apron and pulled out a fistful of coins embossed with the image of a Native American woman with a baby strapped to her back. “Up there” is the United States, where the U.S. Mint has been producing Sacagawea dollar coins since 2000. And even as the coins have lost their luster in the United States, they’ve been embraced in Ecuador, where they’re preferred over paper money. On the streets of this small South American nation, which adopted the dollar in 2000, Sacagawea is ubiquitous — and something of a kindred spirit in a country where many have indigenous roots. About 4,000 miles to the north, in rural Idaho on a recent Wednesday, Randy’L Teton was thrilled to find out that her face was so prominent in Ecuador. When the coin was launched in 2000, she spent a year with the U.S. Mint touring the country trying to drive up interest in the coin and Sacagawea’s rich history. But the currency never took off. Vending machines spat them back; cashiers saw them as a hassle. Tom Carroll, the general manager of Coins and Valuables in Hollywood, said the dollar coins are thought of more as collectors’ items and keepsakes than walking-around cash. But in Ecuador, it’s George Washington who’s spurned. Ecuador adopted the U.S. dollar 17 years ago amid an economic meltdown and hyper-devaluation that forced the country then to abandon its beloved Sucre currency. And while the country does mint some of its own coins, dollars rule the day. 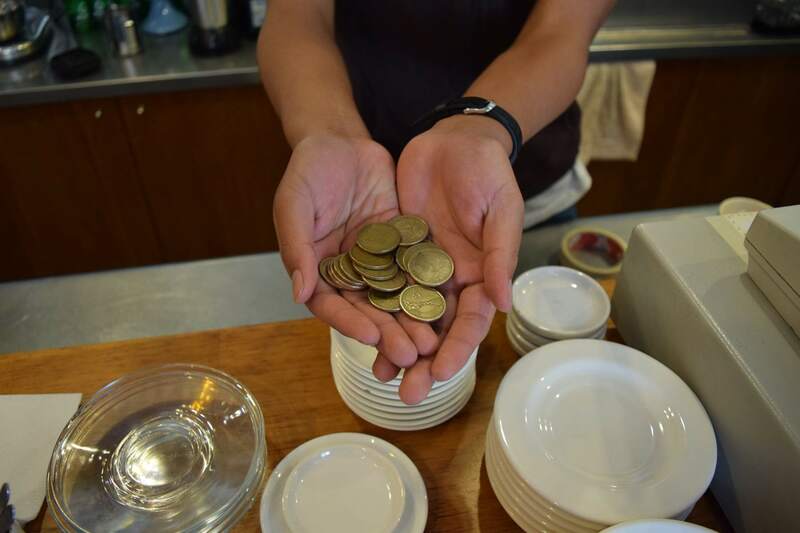 Byron Imbaqo, who works at the Rio Intag cafe in Quito, said he pulls in about $120 a day, but he only gets a paper dollar bill about once a week. One U.S. tourist said he’d never seen the coin until he traveled to Ecuador. Official figures don’t quite explain the phenomenon. The United States Mint has shipped approximately $149.1 million in dollar coins to Ecuador since 2002 — mostly Sacagawea dollars but also dollar coins from the U.S. presidency series. That means there would be about nine $1 coins per person in the country. By comparison, there are about 6.5 billion dollar coins circulating in the United States, or about 20 per person. But with so many of the coins in the United States stashed away, hoarded and collected, they’re simply not visible on the street, Carroll said. Teton has never been to Ecuador, but she said she would love the chance for a Native American from the north to visit Native Americans in the south. Area 51, Dulce and “UFOs” – – my true inner feelings. Tonight’s guest is Norio Hayakawa who has spent decades investigating Area 51 and UFOs. One of his main focuses has been on the alleged secret base in Dulce, New Mexico, as well as cattle mutilations in that area. Michael thanks everyone for taking the red pill tonight and reminds everyone that this is a call-in show. 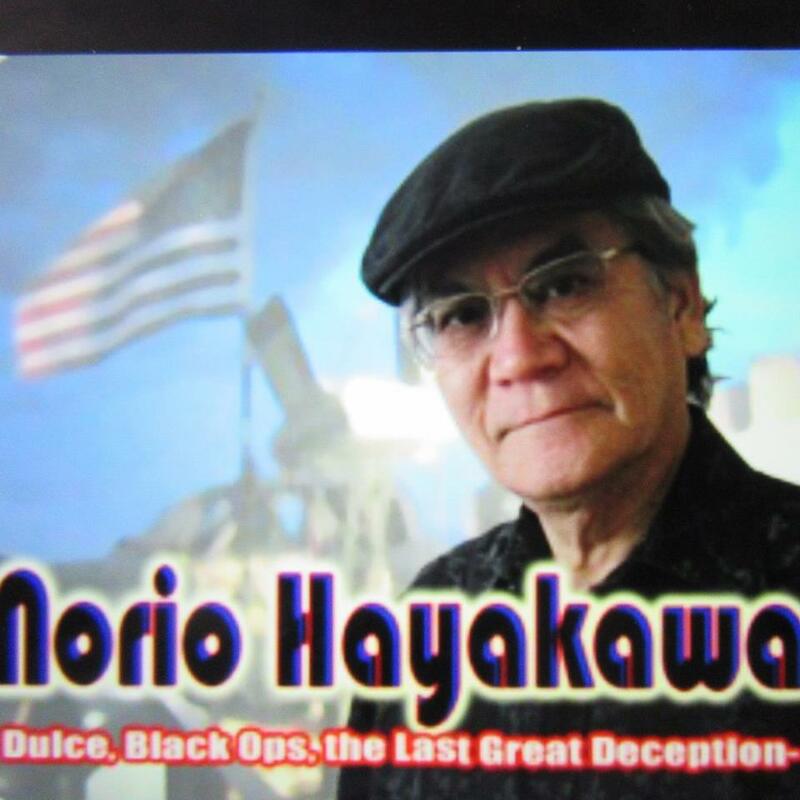 Norio joins the program and right away informs us that on April 18, 2017 he’ll be giving a 90-minute presentation in Rio Rancho, New Mexico, titled “Area 51 in Nevada and Dulce, New Mexico – Reality vs. Myths“. When Michael asks Norio to give us a little background about himself, Norio says that isn’t important. He says people’s descriptions of him are inaccurate. He says he’s the last person to say he’s an expert in this field. Norio’s interest in this subject stems from his father seeing a green ball of fire in the sky while fishing in Japan in 1947. This experience had a deep impact on him. Norio says that he too has seen what he calls “unexplainable lights” in the sky (which he admits could even have prosaic explanations) but cautions us that he’s primarily a strong believer in physical reality, without closing the door to “other” realities (such as possible paraphysical phenomena). He explains he was influenced by the late Carl Sagan, especially his last book, The Demon-Haunted World: Science as a Candle in the Dark. Norio claims, “We are living in a society of darkness,” to which Michael agrees. After the obligatory discussion about the futility of disclosure, talk turns to myths and beliefs and religion. Norio tells us that years ago he was into something called Charismatic Renewal, or the Charismatic Movement. But then in the late 1970s, he began to devour books by Jacques Vallee and John A. Keel , which changed his view of the UFO phenomenon. The topic of UFO conferences comes up. Norio sees them mainly as entertainment. He categorizes it as a show. There’s nothing scientific about them, for the most part. Michael asks Norio his thoughts on the Phoenix Lights incident. Norio bases everything on hard, tangible, solid evidence, and he sees no proof that UFOs are physical (or that they represent conclusive evidence of physical ET visitations). He says Vallee did not like to say that UFO phenomena were exclusively real, they just *seem* to be real. That’s how Norio feels too. He reminds us that it’s been going on for ages, yet there’s no conclusive physical proof (that it represents physical ET visitations). He says UFOs could be part of nonphysical “reality”. Carl Sagan, however, warned us that our beliefs in myths have undermined America’s true pursuit of science. He’s been to Dulce many times and he’s yet to see evidence of an underground base. He reminds us that people survive on myths and beliefs. Yet, we must not close the door to the possibility that there could be other “realities” that co-exist with us, even in areas such as Dulce. He now lives near Albuquerque, having relocated from Los Angeles. He tells us that New Mexico has the highest number of scientists per population of anywhere in the United States. It’s the fifth largest state but the population is only two million, which provides lots of room to conduct military tests. It’s the site of the first atomic test in the world and White Sands Missile Range. He also mentions the paranormal beliefs of the Native Americans in the area. Norio says that religious people tend to believe in the paranormal and scientific people believe in the physical reality of things. Talk then turns to abductions and cattle mutilations, which has Norio delving into the psychological aspect of the phenomena. To the “experiencer” abductions are absolutely real. But until there’s tangible physical evidence, they’re just stories to most people. Michael’s question about cattle mutilations causes Norio to bring up 1967’s Operation Plowshare (Project Gasbuggy) possibly interfering with (imagined notions and allegations of) the “alien” presence in Dulce. He says Dulce may not be about aliens, it’s about a health issue. He explains how it has affected people and animals and its devastating impact on the environment. 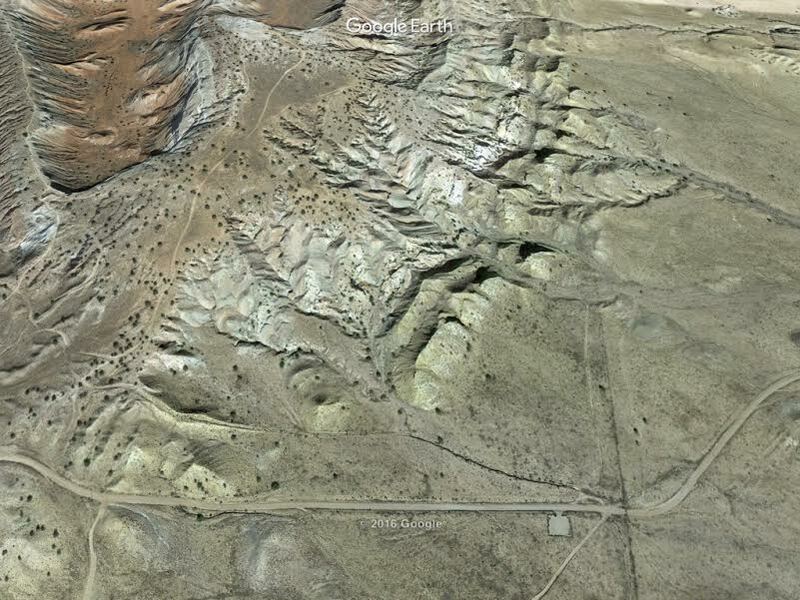 There you’ll find (interesting items, including) photos of the “moonscape” areas, around 20 miles from his home in Rio Rancho. He tells us that New Mexico truly is the “Land of Enchantment” and invites Michael to visit and see for himself. Michael then asks Norio his opinion on Paul Bennewitz, Richard Doty, Phil Schneider, Bob Lazar, John Lear, Bill Cooper, and Hillary Clinton. Just 20 miles from Rio Rancho and tucked away in rugged and scenic country southwest of the community of San Ysidro, New Mexico, is the White Ridge Bike Trails Area. 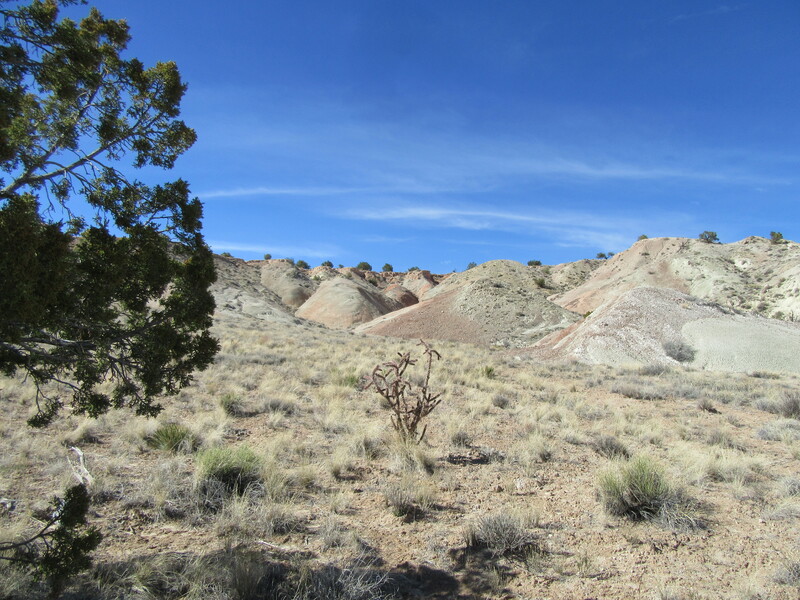 Just to the west is the newly designated Ojito Wilderness. Both sites are a short distance from U.S. 550. This region is known for its geological, cultural and paleontological resources, as well as for its scenic qualities. BLM has obtained rights-of-way from the Pueblo and the State to provide this biking experience. Although the Trails have been developed primarily for mountain biking, hikers are welcome on the entire trail system, and one segment is also open to equestrian use. 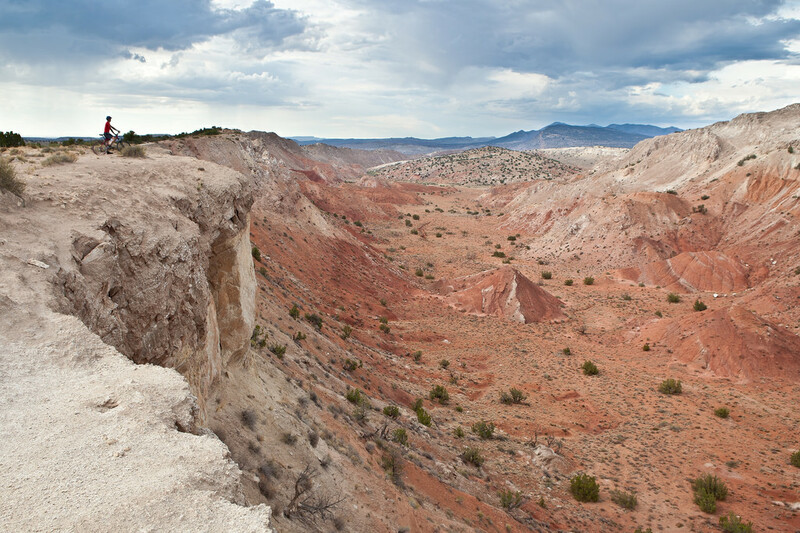 White Ridge is named for the color of the gypsum that forms much of the mesa and the majority of the bike trails. Gypsum is a white mineral consisting of hydrated calcium sulfate and is commonly used in cement, plaster and fertilizer. This gypsum formed as a chemical reaction from evaporation of an ancient water body. In other words, the Ojito area was once covered with water! 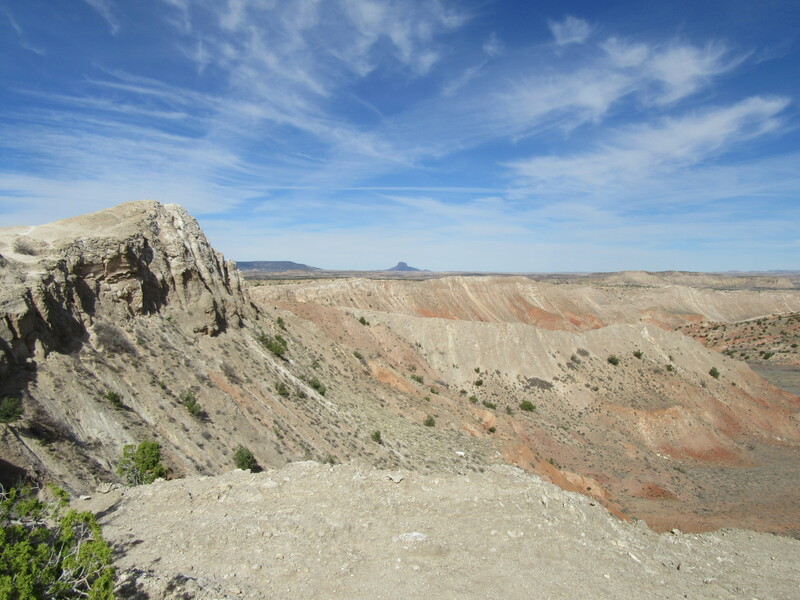 At the western edge of White Ridge, the Tierra Amarilla Anticline forms high, narrow mesa ridges. This classic example of a plunging anticline is visited by several university field schools each year. 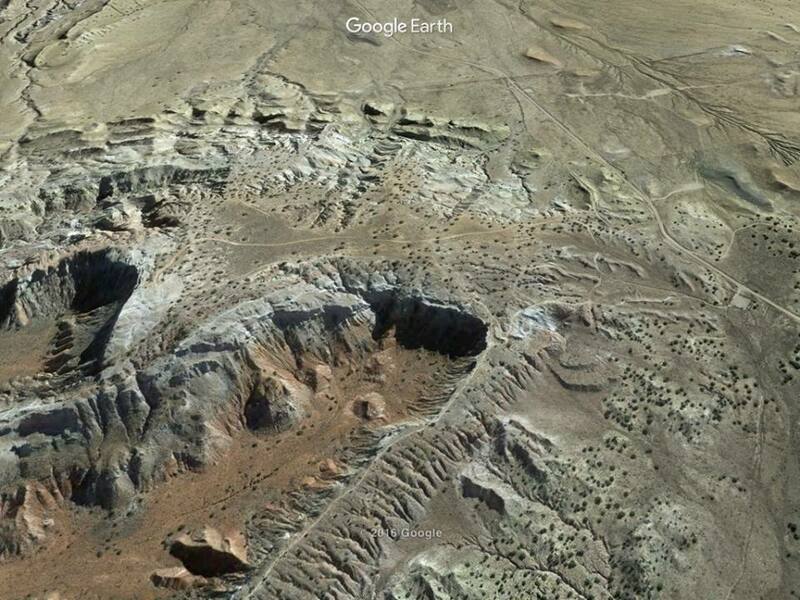 Fossil remains of rare dinosaurs, plants, and trees from the Jurassic period are located in the Morrison Formation. Natural erosion processes have exposed the bones of huge dinosaurs and large segments of petrified trees. These fossils are approximately 150 million years old! The longest dinosaur ever recovered, Seismosaurus, was discovered only a few miles west of the bike trails area in what is now the Ojito Wilderness. 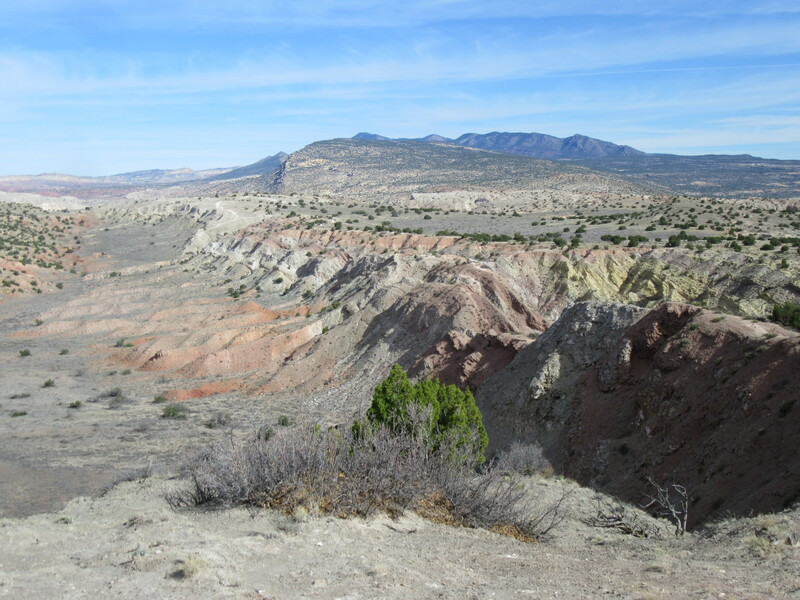 Paleontologists and geologists use this great variety of life to construct geologic timelines and interpret climate changes over the earth’s history. Please leave these objects in place. None in the White Ridge Bike Trail Area. 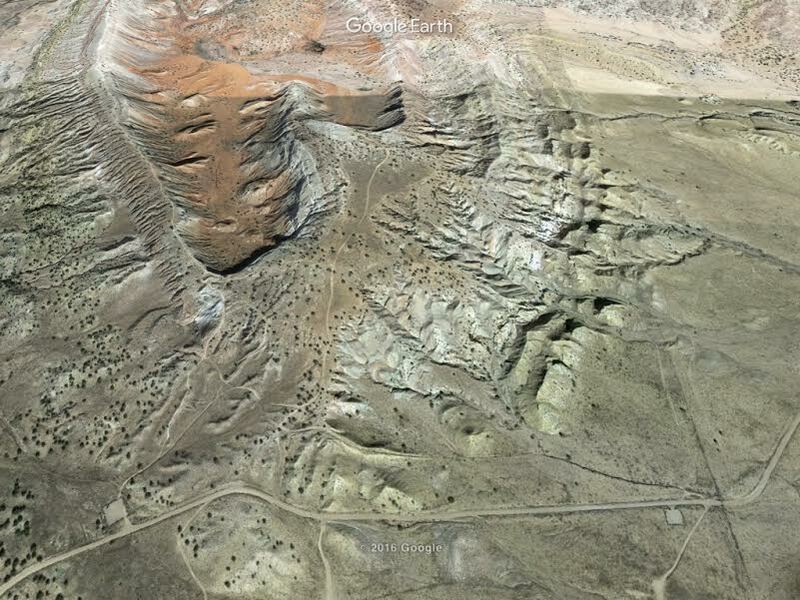 San Ysidro, NM, offers the closest facilities and services – approximately 6 miles. Traveling northwest toward Cuba on US 550 from Rio Rancho or Bernalillo, the drive is approximately 20 miles. After passing Zia Pueblo on the right side and just before coming to San Ysidro (about two miles), turn left onto Cabezon Road (County Road 906) at the intersection of Cabezon Road and US 550. Follow the left fork. Travel 4.4 miles to the first gravel parking lot. There are two gravel parking lots. The first one is the East Parking Lot. It is on the south side of the Cabezon Road. If you drive about half a mile further west on Cabezon Rd., you will get to the second Gravel Parking Lot. It is the West Parking Lot. It is on the north side of the Cabezon Road. It is this parking lot from where you can walk directly to the White Ridge Canyon area to the “viewing spots”. The walk will be about 15 to 20 minutes. 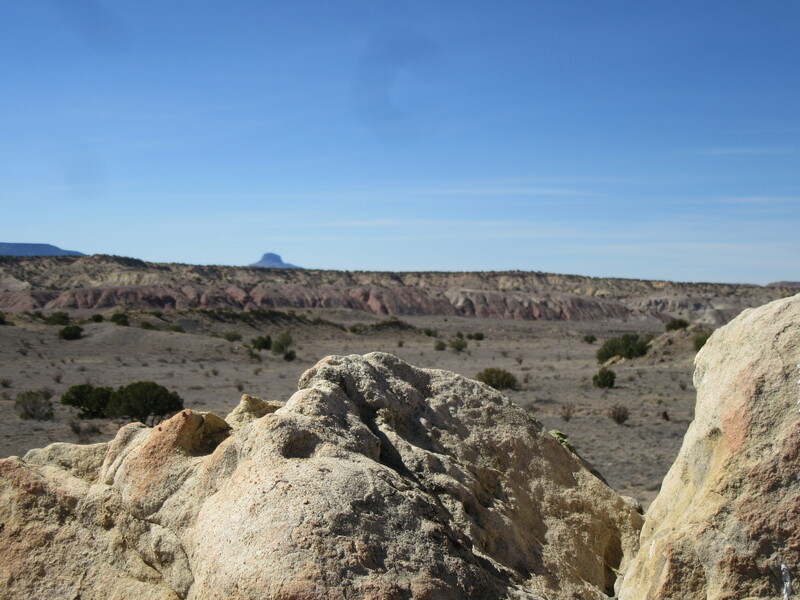 However, if you would like to go first to the “moon rocks” area, then start walking west on Cabezon Road from the East Gravel Parking Lot for a minute or so. And then start walking into the desert on northwesterly direction. (In the distance you will already begin to see first of the “moon rocks” areas). 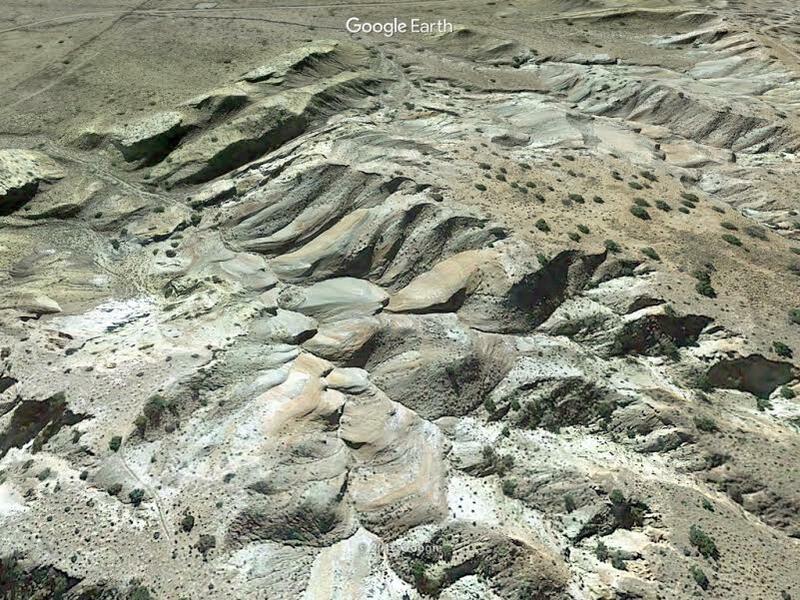 However, if you would like to go directly to the White Ridge Canyon areas (a miniature version of “Grand Canyon”), then drive to the West Gravel Parking Lot and park your vehicle. Start walking northward on the walking/biking trail that is clearly indicated. Keep going and take the left fork. Keep going. In about 15 minutes, you will get to the amazing viewing areas. All seasons and hours. Open year round. If all the reports of UFO sightings are real, the Earth must be the most popular destination in the Universe. Obviously, that’s a ridiculous anthropocentric notion, as Dr. Carl Sagan explained in the above 1966 CBS documentary, UFO: Friend, Foe or Fantasy, hosted by Walter Cronkite. I like his thoughts connecting the flying saucer myths with religion. But like he said in PALE BLUE DOT, help is not coming from elsewhere. Our planet is a lonely speck in the great enveloping cosmic dark. In our obscurity – in all this vastness – there is no hint that help will come from elsewhere to save us from ourselves. Like it or not, for the moment, the Earth is where we make our stand. The words of Walter Cronkite at the end of the documentary are spot on too. Thousands of scientists, astronomers, and normal people are scrutinizing the skies constantly. The possibility of a government coverup of any potential contact is ridiculous at this point. When the contact with an alien civilization really happens, we will all know.